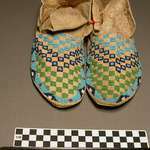 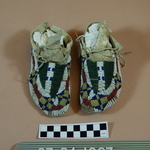 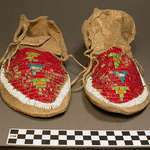 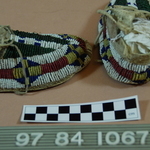 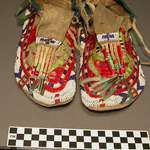 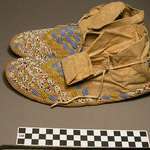 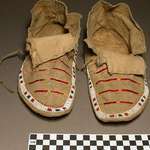 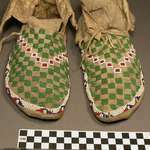 Child's moccasins. 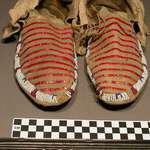 Hard sole. 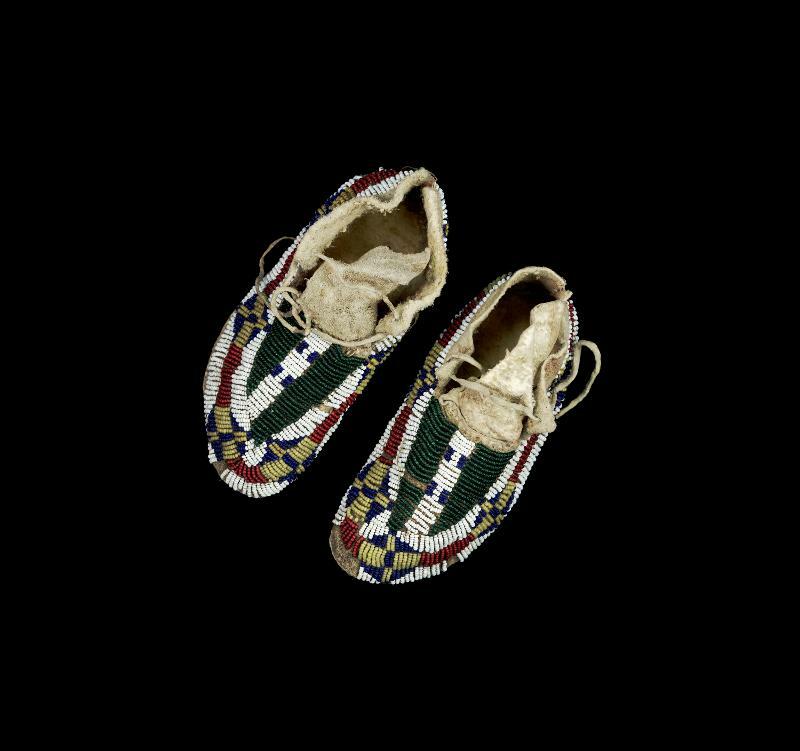 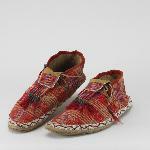 Uppers solidly beaded in geometrical designs: red, yellow, green, dark blue, and white.